Jackson Kelly’s western-most office is based in Denver, nicknamed the “Mile High City” because it sits 5,280 feet above sea level. Denver is an idyllic place to practice law – it boasts an average of over 300 sunny days per year, making it a sunnier city than Miami. This office is home to an agile team of legal professionals. The Firm has built a vital, robust presence in Denver since establishing the office in 1993. While our Denver team is adept at meeting the rapidly changing needs of clients in the Front Range region, their skills translate to businesses across the United States. What began as a small, two-person office has grown to a sophisticated multi-practice office serving local, regional and national businesses. The office’s clients reflect the breadth of the region’s commercial base, coming from industries such as mining, construction, property development, information technology, architecture and engineering and government entities. 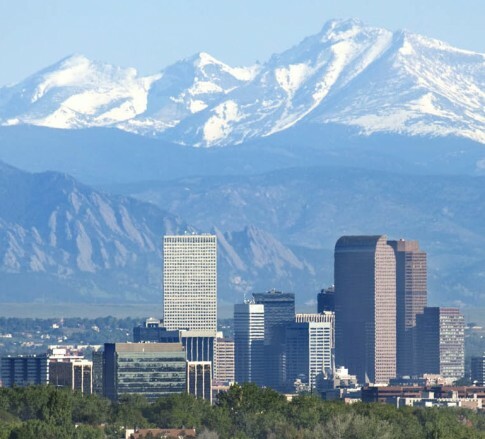 Attorneys in the Denver office represent these clients across many areas of law, including civil litigation, construction, environmental, government affairs, real estate development, employment, business law and corporate transactions.